Forbes has a story, which Google confirmed on Google+ of a new benefit that makes me go absolutely wow. 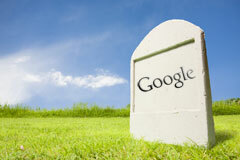 If a Google employee passes away while employed at Google, Google will continue to pay the family 50% of the Googlers salary for ten years! Forbes wrote, "Should a U.S. Googler pass away while under the employ of the 14-year old search giant, their surviving spouse or domestic partner will receive a check for 50% of their salary every year for the next decade." Are there eligibility requirements? It seems like if you start the job at Google tomorrow and die the next day, your family is still eligible. More so, Google told Forbes surviving spouses will see all stocks vested immediately and any children will receive a $1,000 monthly payment from the company until they reach the age of 19 (or 23 if the child is a full-time student). Forbes talks to Laszlo Bock, our VP of People Operations, about the philosophy behind the perks we provide for our employees and one of the newest benefits, which support employees' families in the event of their death.